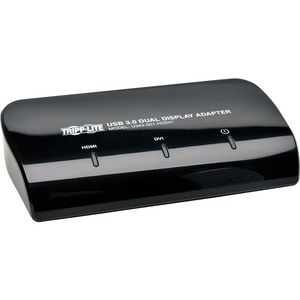 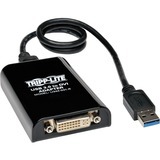 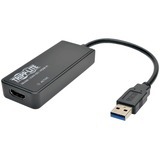 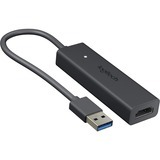 Tripp Lite's U344-001-HDDVI USB 3.0 Display Adapter enables the simultaneous connection of a DVI and HDMI display to a computer via a USB 3.0 port. 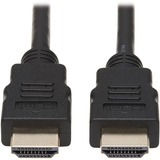 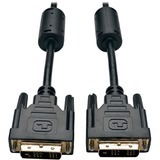 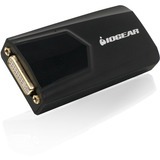 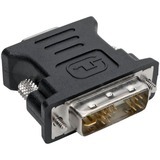 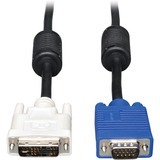 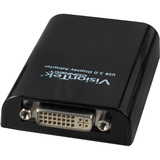 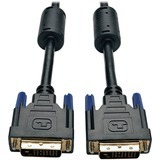 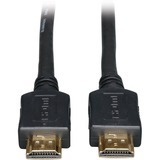 (A VGA monitor can be connected to the DVI-I port with an appropriate DVI to VGA adapter). 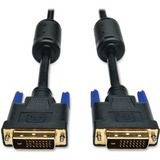 With this convenient design, it can connect up to 6 displays to a computer without installing extra internal video cards. Once the driver has been installed, the attached monitor(s) will be enabled immediately. 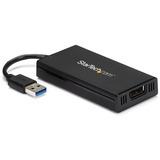 The U344-001-HDDVI supports video resolutions up to 2048x1152, and video streaming up to 1080p. Up to three adapters can be connected to a single computer, allowing for up to six displays (see manual for minimum computer requirements). 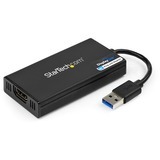 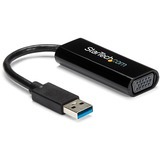 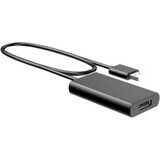 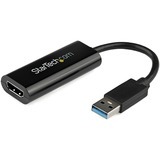 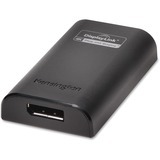 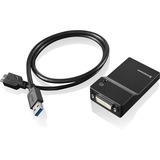 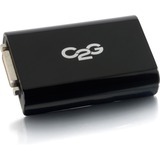 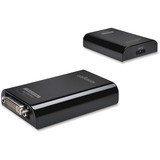 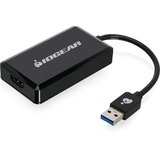 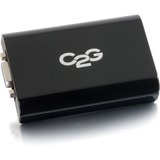 It supports USB 3.0 data transfer rates up to 5Gbps, and is also backward compatible to USB 2.0. 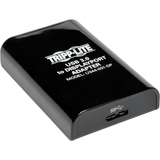 It is bus-powered from a computer's USB connection...no external power supply is required.